One of theater’s most profound aspects is the fact that any one performance can leave a deep, permanent impact on an audience member. Such was the case when Ryan Goldblatt saw HOW I BECAME A PIRATE with his grandparents in 2010. His mother, Joanne, remembers Ryan as bouncing off the walls with excitement when he came home, so thrilled was he by seeing his favorite book brought to life. The performance—the only theater performance he ever attended—was a highlight of Ryan’s all too short life. 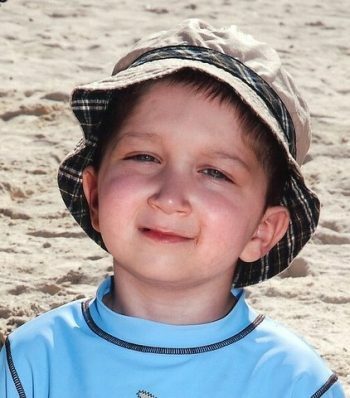 On September 15, 2010, Ryan died just a few weeks shy of his fourth birthday after a brave and difficult fight with Atypical Teratoid Rhabdoid Tumor, a rare type of cancer that usually strikes children under the age of three. 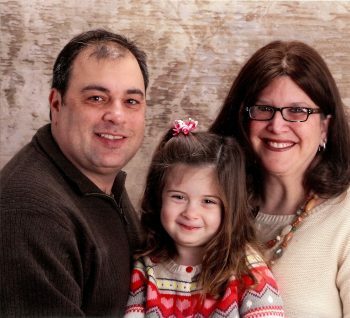 Shortly thereafter, Joanne and her husband, Andy, welcomed another child into the world, a daughter whom Ryan had chosen a name for: Emily. The three continue to keep Ryan’s memory alive through the work of the Ryan Goldblatt Foundation, which is dedicated to raising funds for the organizations and medical institutions that served Ryan during his lifetime. 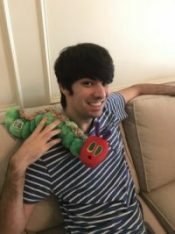 In this three-part series, Joanne—with input from family members—discusses her son, the Ryan Goldblatt Foundation, and DCT’s upcoming production of HOW I BECAME A PIRATE, which is being dedicated in Ryan’s memory. What do you want people to know about Ryan? Ryan was such a happy boy and always eager to please. He never let cancer get in the way of living a happy life. He loved people, especially grownups. Ryan always preferred adult company over kid company. He had a way with adults that made them feel comfortable around him. Even adults who didn’t have kids of their own and didn’t like being around kids loved hanging out with Ryan. He was an old soul who could capture the hearts of everyone he met. Tell me a little about Ryan’s love of pirates and the book/play How I Became a Pirate. Ryan had a huge library of books. Huge. 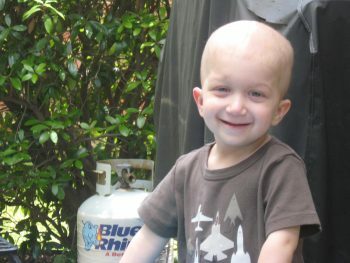 Ryan had a year-long chemotherapy protocol. He was receiving chemo every three weeks for a year. Because of this very rigorous treatment plan, we had to be very careful with him as far as exposing him to others and exposing him to activities and events outside of the hospital or our home. He had very low blood counts most of the time and was very susceptible to getting sick or infections. Because of this, we had to spend most of the year at our home and entertain him with toys, games, TV, and books. Ryan loved reading books. We had a hundred books in his bookcase. I have no idea who gave us the book How I Became a Pirate. We had visitors come over to our home and the hospital all the time. Visitors never came empty-handed. Someone gave us the How I Became a Pirate book, and Ryan loved it after the first time we read it to him. He wanted us to read it again and again. We read that book at least three or four times a week. He loved when the pirates were talking about eating “THE MEAT! !” Ryan would always say, “THE MEAT! !” That was his favorite part. Tell us about Ryan seeing the show. How did he react? We were not familiar with Dallas Children’s Theater prior to Ryan’s cancer diagnosis. A friend of ours mentioned to us that DCT was putting on a production of HOW I BECAME A PIRATE and that we should take Ryan to see it. I couldn’t believe it! I never considered taking Ryan to a play before. We knew we had to take him to see this play. Ryan’s grandparents offered to take him. They were excited to spend the day with Ryan, and they knew Andy and I could use a few hours to ourselves. We chose a performance where we knew Ryan’s counts would be high enough to leave the house for a few hours. When we told Ryan he was going to see the HOW I BECAME A PIRATE play, he was over the moon! He had never seen a play before. I’m not sure he really understood what a play was, but he knew it was something special and it was about Braid Beard, so how could it be bad? I remember when the grandparents came and picked him up—he was so happy and excited! He had a smile on his face from ear to ear. When he returned from the play, he came running to us and was eager to tell us all about it. He loved it! The story came alive right before his eyes, and it was nothing short of amazing for him. It was the first and only book he read that turned into a live-action play. How did the Ryan Goldblatt Foundation come about? After Ryan passed away, Andy and I knew we needed to form a foundation in Ryan’s memory. Eleven months after Ryan died, we received notification that our foundation had been approved and was officially a non-profit organization. In the beginning, our focus was to give back to Children’s Medical Center – Dallas and also to give back to all of the worthy organizations that helped us during Ryan’s illness, including the Make-A-Wish Foundation, Heroes for Children, and Wipe Out Kids’ Cancer, just to name a few. About four months after Ryan died, our daughter Emily was born. When Emily was two or three years old, we started taking her to plays at Dallas Children’s Theater. It was then that it dawned on us that we should partner with Dallas Children’s Theater and expand our focus. 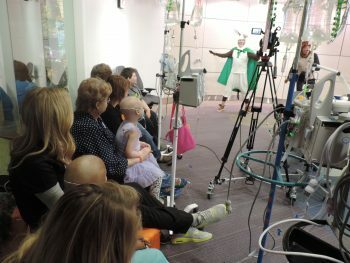 Our new focus was to provide theater entertainment to kids fighting cancer. We saw firsthand the effect it had on Ryan, and we wanted to give that experience to other kids fighting cancer. With this inspiration, DCT is now making 3 – 4 promotional appearances per year at the hospital for all the children to see. It gives the kids a much-needed distraction from their difficult days in the hospital. We are extremely proud of this partnership between our foundation, Dallas Children’s Theater, and Children’s Medical Center – Dallas. Coming Up Next: In part 2 of this three-part series, mom Joanne shares candid thoughts on what it’s like to lose a child. Compiled by Ryan Diller, a DCT Guest Writer who is pictured here with one of his favorite childhood memories. He is the former Web Editor of 1966: A JOURNAL OF CREATIVE NONFICTION, and his writing has appeared in MULTIBRIEFS and HOT PRESS. He is currently working towards an MFA in Playwriting at the University of Calgary.